As 2018 comes to a close, it is time to break out your calendars and start planning out the new year. Lucky for you, Saugatuck is filled with many wonderful festivals and events happening year-round. 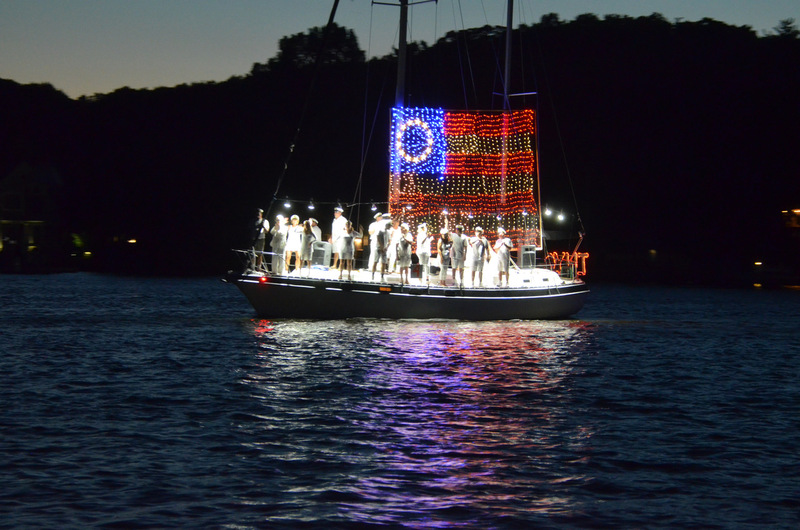 From art festivals to lively Christmas parades, here are our favorite festivals in Saugatuck. Start marking your calendars now! The Venetian Festival is the most beloved summer event in Saugatuck. 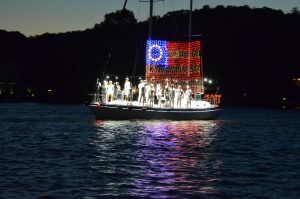 This one-of-a-kind, family-friendly festival hosted by the Cowhill Yacht Club features live music performances, children’s games, boat parades, fireworks, and more. The kids will love activities such as face-painting and hot air balloon rides while adults can step back in time and enjoy a variety of fun, 80’s-inspired music performances and dance parties, plus a food and car tent. During the rowdy dinghy poker run, boaters spray each other with squirt guns as they race along the Kalamazoo River to get the best poker hand. The crowning event of the festival is the Lighted Boat Parade, where beautifully decorated boats float down the river followed by an incredible fireworks display. Proceeds from the festival go to helping local individuals and families in need. This is the one summer festival you do not want to miss. Saugatuck is known as Michigan’s Art Coast. The Blue Coast Artists Fall Tour of Studios allows you to immerse yourself in the thriving artist communities in West Michigan. It is a great way to marvel at the beautiful colors of autumn while touring eight working studios between South Haven, Saugatuck, and Fennville. Each studio is unique, with artists working across a wide variety of media, including pottery, wood, glass, ceramics, paints, photography, sculpture, and more. 2019 marks the 90th anniversary of the Tulip Time Festival in the nearby time of Holland, Michigan. Every Spring, over 5 million beautiful tulips bloom in an awe-inspiring rainbow of colors. The main hue, however, is orange, which is why the motto of the festival is “paint the town orange.” After viewing the gorgeous tulips in the town’s many parks and gardens, you can enjoy the festival’s three different parades, Dutch dancers, live music, markets, fireworks, and more. This is an incredible chance to celebrate spring, Dutch culture, and the local community. The Fennville Goose Festival happens every October in downtown Fennville. The festival features live music, carnival rides, a book sale, history exhibits, arts & crafts, a car show, a pickleball tournament, dance performances, tasty food and beverage vendors, and so much more. The crowning event of the festival is the Wild Goose Chase 5K run. There’s also a Gosling Run for younger competitors. Start off the holiday season right with the The Saugatuck Annual Christmas Parade. In addition to the festive themed parade, you’ll also find live music, marching bands, theatrical performances, and a visit from Santa. There is no better way to get in the Christmas spirit. Planning a trip to Saugatuck, Michigan? Book a stay at the Twin Oaks Bed & Breakfast, a charming Victorian home with modern touches just one block from Downtown.